Since emerging from war and internal conflict, Cambodia has experienced high levels of growth over the last two decades. Yet millions of people continue to live in extreme poverty. A lack of education and skills training means fewer job opportunities, with those in rural and isolated areas often the most affected. 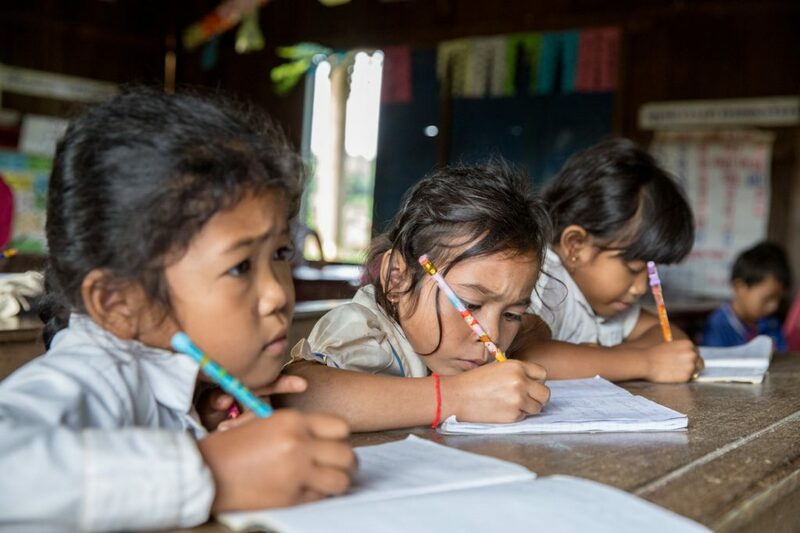 Since 1973, our work in Cambodia has shifted from emergency relief operations to longer-term projects in the areas of education, health and rural development. Today, we’re working closely with some of the most affected – poor and vulnerable women, and marginalised ethnic minorities – to help provide tools for sustainable change. Education is the key for marginalised women to expand their life choices and economic opportunities, and to be active participants in society. In Cambodia, this includes a particular focus on remote ethnic minority communities in the north-east of the country, who often experience additional social isolation, discrimination and economic exclusion. CARE has worked in more than 350 schools, supporting high-quality curriculum development in key subject areas such as science, maths and technology. We’ve worked to improve teaching quality, provide more schools with water and sanitation facilities and increase community participation. Read more about how we’re helping children from ethnic minority groups attend school for the first time as part of our Education for Ethnic Minority project. Financial inclusion is vital for women to have greater access to and control over economic resources. Control over resources allows women to invest in businesses, while access to financial services provides a platform for women to engage in broader productive value chains, either as entrepreneurs or as paid workers. 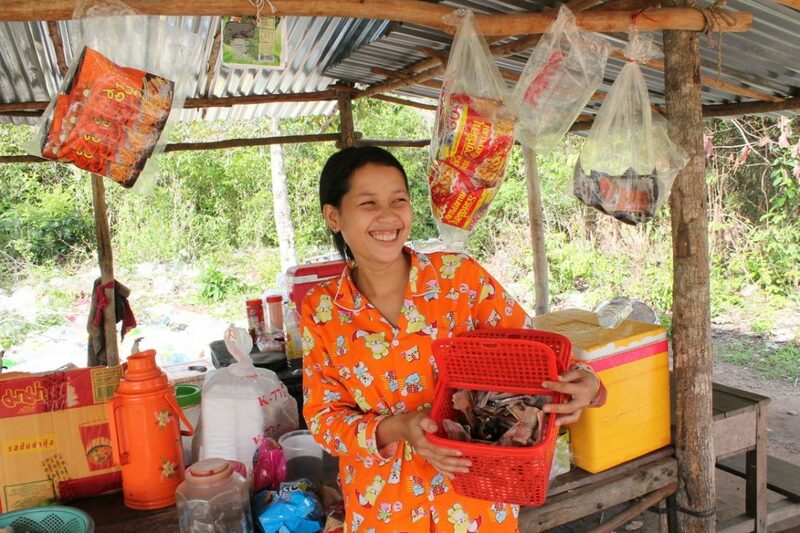 Through the Village Savings and Loans (VSLA) program, CARE has enabled Cambodian women to build their financial skills and assets, and we continue to build upon these to achieve greater inclusion via a number of targeted approaches. These skills gained have economic benefits for women, their families and their communities, and the economy of the country. Learn more about the VSLA program. Gender-Based Violence (GBV) in Cambodia takes place in the context of deeply entrenched cultural norms that disadvantage women and girls. Acceptance of GBV among the community is still unacceptably high, with 80% of both men and women failing to respond when they hear of cases of abuse. By supporting women to have their voices heard by employers and policy makers, and providing training on a range of life skills, we’re empowering female workers to improve their working conditions and to ensure their rights are protected and respected. Over 70,000 female workers have been reached through one-to-one and group peer sessions, workplace group training and awareness-raising activities, and national campaigns and events, in order to prevent and solve sexual harassment in the workplace. There’s now an increased understanding of all types of sexual harassment behaviours, with women workers in the target workplaces experiencing a decrease in the risk of sexual harassment at work. There has been a prolonged drought in many villages where CARE’s Local Economic Leaders project works. The impact on farms and livestock could be dire if communities are not supported to adapt. Women Demonstration Farmers and Farmer Interest Groups have undertaken training from CARE, to help farmers become more resilient. CARE is helping members make changes to their farms by assisting with planting crops suitable for the season, soil testing, and selecting vegetable seeds right for the current conditions. 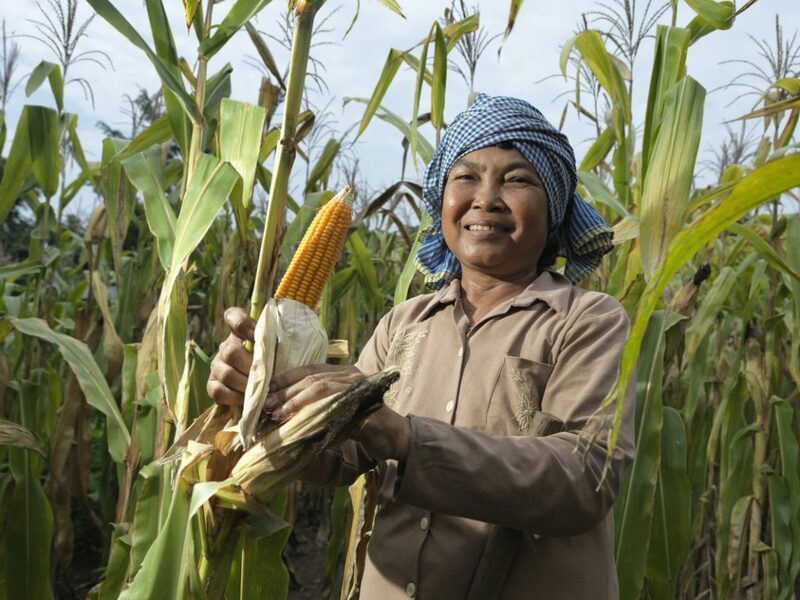 This gives them the best chance at harvest during the dry season. Farmers are also trained in building and installing water drip systems to their land, as well as building secure animal pens and vaccinating their livestock. Women Demonstration Farmers have shown increased confidence and leadership skills, successfully delivering training to other farmers and running demonstration days. Sexual harassment is a deeply sensitive issue rooted in unequal power and gender relations, and it disproportionately affects women and girls. 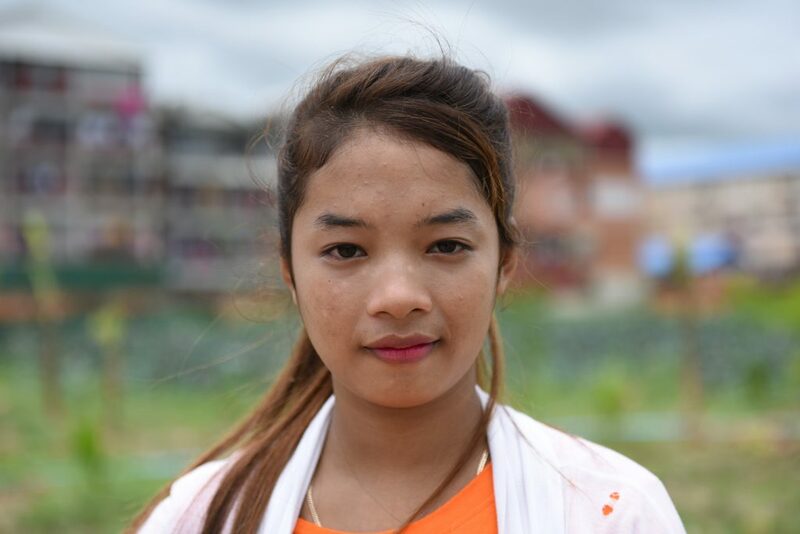 CARE is working in four countries in the Mekong region to address sexual harassment in the garment industry, as part of the Enhancing Women’s Voice to Stop Sexual Harassment (STOP) project. Through this project, CARE is leading the development of contextualised models to support industry, government, and civil society actors in preventing and responding to sexual harassment. The aim is for garment factories to implement effective and appropriate models to address sexual harassment in the workplace, upon completion of the project. Read more about the STOP project. 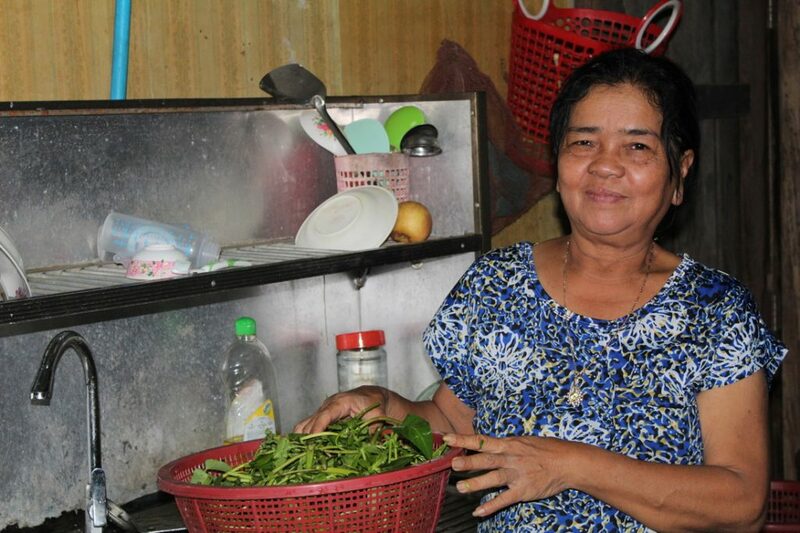 Song, 59, from Koh Kong province wanted to know about development plans for her community. CARE’s ongoing work with the Cambodian government to improve community awareness of the services provided by local authorities, has meant people like Song have been able to find the information they need. Partnering with the Mlup Promviheathor Center, CARE has trained local volunteers to run awareness sessions in the village where Song lives. All members of the community are able to gain the information they need to understand things like health centre opening hours and the information required to obtain a child’s birth certificate. As part of this, community members are supported to understand the budgets of their local authorities and what this means for them. Song was able to obtain budget information on the income and expenditure of her local commune, health centre and primary school. This was information she’d never been able to access in the past and Song found it to be a very useful way of understanding what is prioritised in her community. Song believes that if people have better understanding and a clear way to provide feedback, services will keep improving and this will make communities happy. – More CARE evaluation reports from Cambodia and other countries are available at CARE’s Electronic Evaluation Library. Partnering to Save Lives aims to save the lives of mothers and babies. Factsheet containing learnings from CARE Australia's Mekong strategic evaluation. The on-going work we do in Cambodia is in partnership with these local organisations: Action for Health Development, Building and Wood Workers Trade Union, Cambodia Women for Peace and Development, Cambodian Agency Development of Disability and the Poor, Cambodian Civil Society Partnership, Cambodian Community Development, Centre d’Etude et de Développement Agricole Cambodgien, Children and Women Development Centre in Cambodia, Coalition for Integrity and Social Accountability, Family Health Development, Gender and Development for Cambodia, Genesis Community of Transformation, Health and Development Alliance, Indigenous People Health Improvement Association, Khmer Association For Development of Country-Side Cambodia, Legal Support for Children and Women, Media for Education and Development In Action, Minority Rights Organization, Mlup Promviheathor Center, Mondulkiri Indigenous People’s Association for Development, My Villages, Nak Akphivath Sahakum, Occupation of Rural Economic Development and Agriculture, Prom Vihear Thor, Save Vulnerable Cambodians, The Advocacy and Policy Institute, The Affiliated Network for Social Accountability-Cambodia, The Alliance for Conflict Transformation, and Youth Council of Cambodia.